Compare with similar Qianlong-marked vases included in Selected Masterpieces of the Matsuoka Museum of Art, 1975, no. 102; illustrated by Geng Baochang, Ming Qing Ciqi Jianding, Qingdai Bufen, p. 160, fig. 146; one sold in these Rooms, 27 April 1989, lot 724; and a pair from the collection of General Field-Marshall Alfred, Count von Waldersee, sold at Sotheby's London, 12 July 2006, lot 116. 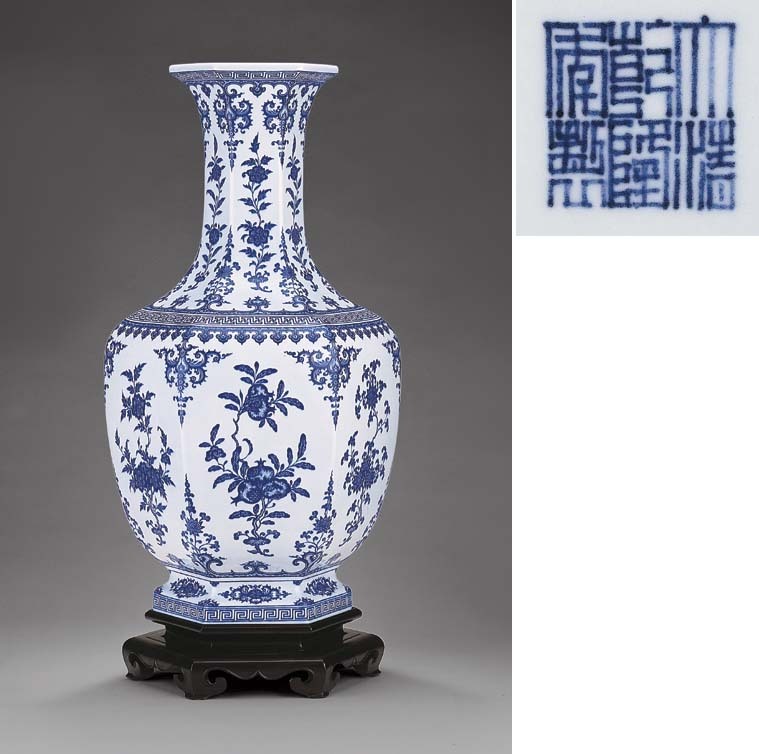 A similar vase but with a Yongzheng mark from the Grandidier Collection in the Musee Guimet, is illustrated in Oriental Ceramics, The World's Great Collections, Kodansha series, vol. VII, no. 164.